Mice may be small, but they can cause huge problems. Today, Daf Yomi reaches the topic of the mud-mouse - the mouse that is (allegedly) generated from dirt. It also discusses the salamander that is legendarily generated from fire. I have chapters dedicated to these mythical creatures in my book Sacred Monsters (and my views on them are the primary reason why my books were put in cherem). The people that encounter this topic fall into several categories. "Imagine if a scholar such as Humboldt had lived in their times and had traveled to the ends of the world for his biological investigations. If upon his return he would report that in some distant land there is a humanoid creature growing from the ground or that he had found mice that had been generated from the soil and had in fact seen a mouse that was half-earth and half-flesh and his report was accepted by the world as true, would we not expect Chazal to discuss the Torah aspects that apply to these instances? What laws of Tum'ah and Taharah apply to these creatures? Or would we expect them to go on long journeys to find out whether what the world has accepted is really true? And if, as we see things today, these instances are considered fiction, can Chazal be blamed for ideas that were accepted by the naturalists of their times? And this is what really happened. These statements are to be found in the works of Pliny, who lived in Rome at the time the second Beis ha'Mikdash was destroyed, and who collected in his books on nature all that was well-known and accepted in his day." There's another group of people who are entirely unaware that no such creatures exist, and are completely confident in the absolute factual truth of everything in the Gemara. The weekly booklet Me'oros HaDaf Yomi took it for granted that the mud-mouse exists, and happily cited R. Yom Tov Lippman Heller's view that it presents evidence for creation ex nihilo. This group of people has an incorrect approach, but it doesn't bother me or interest me that much. In some ways, I am jealous of their simple faith; I have little desire to change their minds. A different approach, however, is found with charedi anti-rationalist rabbonim who seek to present themselves as sophisticated thinkers that are well-versed in science, such as Rabbi J. David Bleich and Rabbi Moshe Meiselman. They are dogmatically opposed to saying that Chazal predicated halachos on a misunderstanding of the natural world, so no matter how much evidence there is for that, and no matter how many Rishonim and Acharonim say it, they have to find a way around it. However, they can't bring themselves to insist that spontaneous generation really does take place (though R. Bleich does insist that it can't be disproved!) So they claim instead that Chazal never actually believed in spontaneous generation. Now, one obvious problem with this approach is that the entirety of traditional rabbinic thought - every single Rishon and Acharon - interpreted Chazal as believing in spontaneous generation. Is it not preposterous, even arrogant, to claim that you understand Chazal's words better than every single Rishon and Acharon who ever lived? And it also goes strongly against the charedi ethos of claiming great respect for the mesorah and for traditional rabbinic authorities. 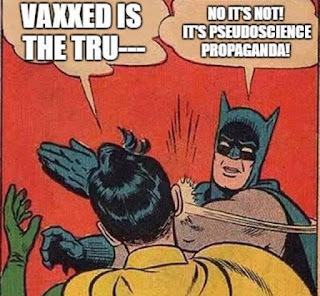 But there is also a different problem with this approach: the way in which its advocates conveniently ignore sources in Chazal which expose the impossibility of their interpretations. In another post, I detailed several sources from Chazal, conveniently ignored by R. Bleich and R. Meiselman, which show that Chazal most certainly believed that these creatures spontaneously generate. Then there is a fourth group of people. These are the people who are pretty sure that no such creature exists, but cannot bring themselves to say so - either because they are uncomfortable with the notion that Chazal could be mistaken, or because they are afraid to publicly say so. And so they have a mighty struggle with this mouse. When Rav Aharon Feldman from Baltimore switched sides regarding the controversial ban on my books, and decided to insist that Chazal were infallible in science, I asked him if he really believes that there is a mouse that is generated from dirt. I knew that he is a worldly person, and so I wanted to see his response. Rav Feldman replied that scientists are constantly discovering new and amazing phenomena - why shouldn't it be true? I received the impression, though, that he was trying to convince himself rather than me. I posed the same question to one of the rabbis that had endorsed one of my books but was retracting his haskamah out of deference to Rav Moshe Shapiro, who insisted that Chazal were infallible. "Do you really believe that there is a mud-mouse?" I asked him. He paused for a while, and then said, "I don't know." I argued that he wasn't being honest with himself, but what I should have pointed out was that Rav Moshe Shapiro demanded that people believe that there definitely was such a thing, not that they do not absolutely deny it! If anyone here attends a Daf Yomi class, can you post a comment informing us what the maggid shiur said about this topic? They claim chazal never actually meant spontaneous generation in order to reconcile their words with traditional science. You do this too to some extent but with the Torah's words. You claim maaseh bereishit and Gan eden never happened and the Torah never actually meant it literally How is this so different than what Rabbi Bleich and Meiselman are saying about chazal? You rightly say "one obvious problem with this approach is that the entirety of traditional rabbinic thought - every single Rishon and Acharon - interpreted Chazal as believing in spontaneous generation. Is it not preposterous, even arrogant, to claim that you understand Chazal's words better than every single Rishon and Acharon who ever lived?" Isn't this true for you too? Has any rishon/acharon said that maaseh bereishit and Gan eden never actually happened and it's all a metaphor? I don't say that Bereishis is not literal. I say that it's not historical. Also, Rambam said the same, in Moreh Nevuchim. He said the account of creation is a parable. I believe this is actually proof that chazal followed "the most advanced science of their time", since familiarity with the rest of their work shows deep sensibility. I believe that to be the principal involved. If the Rambam were to say the Torah's account of creation in Bereishis is talking literaly but not historically, he would argue that the unhistorical meaning is the literal meaning. Instead he says the literal meaning of it during the six days in the begining of Bereishis is not the real meaning but instead is a parable. Rabbi Slifkin it seems to be you are saying the Torah was written to be taken literally by the one who wrote it. It seems what you have been saying is that the Torah was written to be taken literally and then at best it was accepted to be with interpretations eventually. the Torah spoke in the language of men, that mean following their subjective view of the world, Rav Dessler had a deep lesson on the Ramban' perush on the 6 days of creation dealing with this concept, our problem is that we are equaling truth an reality, the Torah is true and is the only way to eternity but don't deal according to the Ramchal with the physical reality, the science bring us progressively to a better understanding of the reality around us, but ought not to be true and don't deal at all with truth, Imre Lakatos said that the root of the problem lies in the fact that the first true scientist fell obliged to demonstrate that they were right in the same way that the theologians deed, this has brought many epistemological conundrum and fueled the antagonism between religion and science. And what do you think that shows? Why is it so hard to say that chazal were mistaken? Isn't the entire gemara comprised of arguments, most of which would leave at least one side wrong? Even more so, the Torah describes an entire ritual performed when rabbis are in error, par haelem davar, and that’s when they are in error about the law, their area of expertise. Those arguments are usually matters of halacha, not factual occurrences. It's one thing to say that we don't hold like an amora and it's a completely different thing to say that they didn't understand how the world works. They are trying to out-Frum the Catholics. Papal Infallibility is the doctrine which states that the Pope can't be wrong about religious matters. People who think CHaZaL were infallible apply it to everything. Of course, if you try to pin them down on it, they deny. After all, can't say that CHaZaL were perfect because that's Avodah Zara (but ... they were perfect). The cognitive dissonance leads to some very strange contortions. I totally agree with @not charedi. Saying amoraim didn't know halacha is totally different to saying amoraim didn’t know post enlightenment science. Yes, but it's the other way around. Their domain of expertise was halacha, and even there we have to admit they weren't infallible. So of course in other domains it isn't better. The point is that chazal were not infallible. They can make mistakes. Saying that "they can only make mistakes in halacha but not in non-halachic matters" is a major cop-out and illogical because if they can make mistakes about their own expertise, i.e. halachic matters, then all the more so they can make mistakes in matters that were not their expertise (science, world history). And if you say that they were angelic figures that knew world science from their knowledge of Torah, then how could they make mistakes in halachic matters? N8ZL: I agree that chazal were not infallible. I was simply trying to explain how people could confuse disagreeing about halacha and not understanding science. I agree with you on that. The tricky part is when hashkafic matters play a role in halachic decisions. It's interesting that the dogma of papal infallibility and the new definition of Daas Torah appeared in the same time, begin 20th century when the rise of democracy and the radical ideologies began to frighten the religious establishment. Concerning Chazal I don't agree they were wrong, is a Rav wrong when he paskent in a medical question by relying on a medical expert of today? It is quite sure that the actual medical knowledge will be considered flawed in a decade, nonetheless the Rav did the right thing by consulting a doctor, in the same way when dealing with the physical world Chazal were implementing their own adage "Believe there is wisdom in the Nation", the experts in their time were the Greeks, and you can trace all the odd theories found in the gemara to them,(Hippocrates stated that an 8 month born can't live and it was accepted a long time after him), we must accept that human knowledge does evolve continually, and that a posek has only what is known in his days, the rest is Providence and divine help. But why did nishtana hateva? Only God knows. Perhaps as mankind began to understand nature better, such creatures would force skeptics to accept "R. Yom Tov Lippman Heller's view that it presents evidence for creation ex nihilo" and as we know God does not desire to make himself obvious. That os precisely why the babelfish went extinct. I came here expecting you to post about this Daf topic, and Im happy to see you posted. As you pointed out, with a simple question - "do you believe in the mud mice" - you can quickly conclude the person's stance on this topic. My question is, if the people think the Talmud cannot make a mistake, will they claim the same about Rashi's mention of mermaids? In other words, even if you accept their premise, where do they draw the line? I think that the forth group, people who say "I don't know", or can't articulate a response represents all of us on certain issues. There are areas in my personal belief where I have trouble reconciling things written in the Torah or Halachic Practice with my knowledge about the world. Sometimes it is possible to reconcile such problems by changing my understanding of either Torah or of Science (and I am not an expert in either), but there are times when I am forced to say that "I don't know", or "I can't reconcile this contradiction". In today’s era of instant gratification, people want to have answers to all their questions—preferably bite-sized, for easy consumption. Unfortunately, life does not work that way. No matter who we are, we never have all our questions answered. At such times, there is an important Yiddish expression to bear in mind: Fun a kashya shtarbt mon nisht—“From a question, a person doesn't die." It expresses the concept that we should not be overly distressed when we do not find answers for all our questions. Even Moses remained with an unanswered question, and it was the most difficult one of all: Why do bad things happen to good people? Moses asked God Himself, and did not receive an answer. Talmudic literature is replete with questions that are left unanswered. I remember that once I was studying Talmud with my father. I asked him why the Talmud did not resolve the problem under discussion in so many cases. Instead the Talmud concludes with the phrase teiku [“stalemate”]. Why was no conclusion reached by the talmudic sages? My father explained to me that a Jew must apprehend that he cannot understand and comprehend everything. When a Jew learns that there are halakhot which are ambiguous, then he will also come to the realization that there are other areas that are also not clear-cut. In matters of faith, teiku will also be encountered. The greatness of Abraham, our forefather, was that he knew how to say “Here I am” [Genesis 22:1] even though he did not understand the request that God made of him. The basis of faith is teiku. If a Jew does not master the concept of teiku, then he cannot be a true believer. It would not hurt if the rabbi possessed the courage and resoluteness to admit to teiku. The rabbi must not be ashamed to declare that he must refer the question to greater experts on the topic. Hazal were wrong. I ask fundamentalists if they will eat cheese maggots as they are sponaneously generated and therefore considered cheese. The problem occurs where Chazal forbade something based on faulty science. To what extent are you willing to discount the Hallacha? I think these are astral creatures. They don't exist on the physical plane but they do exist on a higher level. Just out of sight. But if you have the Second Sight [that's the original Scottish term} then you can see them, along with pixies and elves and mermaids and leprechauns. There's a delightful story of the holy Rhizhiner as a child when someone came to his father for help because he had rigged the scale in his distillery to pay less tax and the police were coming to check. The man couldn't get into the father so the Rhizhiner asked him what the problem was; he told him to go home it would be fine. When he returned to say thank you the father asked the Rhizhiner what he had done. He said he had sent with the man 'a little angel' who put his foot on the scale and made it level. Ladies and Gentlemen, I present: The epitome of Poe's law! then I mean it quite genuinely, but I wouldn't call it extremism, except as it interposes with your own extreme opinion. As a maggid shiur myself, I first pointed out that the mishnah itself could easily be interpreted as discussing a decomposing mouse, which would make sense since it is a *dead* mouse that has tum'ah, not a forming one. It is the gemara that takes the mishnah into the ex nihilo issues, either because they accepted it as scientific fact (as per the Greeks), or as an intellectual exercise (which the gemara has no lack of). 1) Any ideas on the identity of the "sea mouse"? 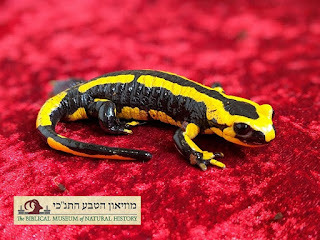 2) The midrash halacha and the anecdotes discussing the salamander and the basilisk (arvad) imply that the "tzav" in the Torah is an amphibian, i.e. a toad, and not the meaning that modern Hebrew gives it. Your thoughts? 1) Doesn't need to be anything particularly mouse-ish. Just some vague point of similarity. 2) There is no implication that it's an amphibian. Amphibian is a modern scientific term. 1) I was wondering whether a sea-horse might have qualified as a "sea mouse". Do sea horses live in any of the seas around the Middle East? 2) Granted. 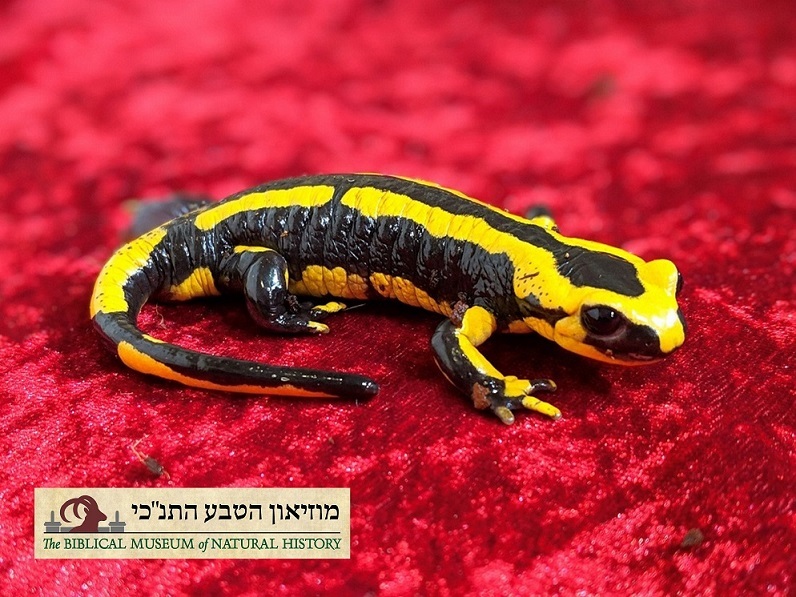 But even by talmudic standards of taxonomy, I would not expect a salamander to be considered as the "min" of a tortoise, while some kinds of toad make more sense. In any case, it's the "snake + tzav = arvad" which is the clincher for me (and the midrash also quoted by Rashi that talks about how a tzav is similar in appearance to a frog). Tzav is not a tortoise. It's a uromastyx. I had to look that up. Thanks for the enlightenment! But how is that "similar to a frog"? "The weekly booklet Me'oros HaDaf Yomi took it for granted that the mud-mouse exists, and happily cited R. Yom Tov Lippman Heller's view that it presents evidence for creation ex nihilo." The only problem is, Hashem only created matter ex nihilo during maaseh beraishis, not in ancient Babylonia . . .
Actually, the reason why your books were banned, is because you deny the concept in the Torah of Hegid lecha yemin shehu semoal". The Torah is talking about fact that effect Halachah. Tumah and Teharah effect halacha. Killing lice on Shabbos effects halacha. If you think or science thinks Yemin is Yemin in those instances - then you deny a precept in the Torah - as much as we don’t understand, denial is denial. When it doesn't effect halacha you can say whatever you want. I might imagine that the if [the Rabbis] tell you that your right hand is your left and your left hand is your right, that you must listen to them. Therefore the Torah teaches us "to go to the right and to the left". [Only] when they tell you that your right hand is your right and your left hand is your left [must you listen to them]. אפילו אומר לך על ימין שהוא שמאל, וכל שכן שאומר לך על ימין שהוא ימין". The left-right thing is interpreted within the midrash itself as a hyperbolic statement. @David Therefore the Torah teaches us "to go to the right and to the left". [Only] when they tell you that your right hand is your right and your left hand is your left [must you listen to them]. In other words, you are saying that you must listen to the Rabbis only when what they say coincides with your own views. Does it really mean listening to the Rabbis? Are you unable to tell the difference between polemics and serious discussion? Then the level of your Torah study must be very immature. You'll notice that Ramban didn't have a problem telling Rashi he was wrong. Ramban is explaining Rashi, not arguing. Your argument is pointless here. Do you think we have a mitzvah to believe in non-existent creatures just because of that halochoh? It's not their way of understanding the Torah which is at fault, but their knowledge of the world. Jew Well, no he's not. He's explicitly contradicting him. That's what ואיננו נכון means. Go back to your primary school rebbe and ask why he did such a poor job. I won't follow you on the name-calling part, suffice to say he could teach you a thing or two. My (and Yehuda's) version says no such thing, only וענינו which, as you probably know, usually introduces an explanation. Go do your homework then get back to me. OK, apologies, I though you were talking about that particular case. One more point. I have discovered that many cures mentioned in the Gemarah that were dismissed by modern medicine as useless are actually making a comeback as alternative medicine. Perhaps, we will discover one day that just as dinosaurs existed so did this unusual animal. May Hashem enlighten us to discover the truth. Would be nice to see Rabbi Slifkin respond to this comment, as it seems that this is the most levelheaded approach one ought to take. Personally, I'm very appreciative of this comment as I now feel very comfortable, that this is the correct approach. your point about being cautious rather than dismissive as well as the point about this being Torah m'Sinai were very enlightening! Of course there are later additions (and not only from Ribbi). The mishna discusses a lot of later takkanot, and a whole treaty speaks of Purim. The whole pack of alternative medicine is "dismissed by modern medicine as useless (outside of psychological benefits)", so the fact they also recycle talmudic recipes does not in itself prove anything. See my comment above from my shiur. There is nothing in the mishnah itself to indicate that it is talking about a "mud-mouse" - that is merely the interpretation of the gemara. In fact, since the mishnah is talking about tum'a of the mouse, which *only applies after it dies*, the gemara's interpretation doesn't even really fit all that well. The mishnah itself could be talking about a *decomposing* mouse. Granted, the idea that the decomposed part of the mouse is considered "soil" (adama) and not "rot" (rekev) could indicate that the mishnah thinks that mice are actually mud. Nevertheless, the wording of the mishnah itself, even if you assume that it is considered "torah misinai" (which I personally wouldn't, as the gemara points out plenty of amendments and errata), does not need to be interpreted in a way that counters reality as we know it. On added point. I looked up the Halachah in the Rambam in שאר אבות הטומאות ד: יא, where the Ramabam actually changes a word from the Mishnah. In the Mishnah it says עכבר while in the Rambam it says שרץ. None of the meforshim on the Rambam comment on this discrepancy. Not sure what to make of it but one thing is clear and that is the Ramabm saw fit to actually posek Halachah on this type of animal. The concepts such as laws and facts are untouchable. That doesn't mean the wording which is from R' Yehuda Hanasi is not untouchable. Never forget to distinguish between public and private. A great many charedim would privately admit that of course chazal were wrong, but they would never say that publicly, bc they don't want to undermine the whole system. I have close relationships with numerous Lakewood (or Lakewood type) talmidei chachamim, and many of them are well aware of academic approaches to learning, both modern and 19th century, and have even more radical approaches than you do. Of course - I'm speaking only of scholars, not the hamon am. And even these scholars would admit this only privately, to a fellow talmid chacham. To an amaharetz, which is most people, they apply the dictum of אין מפרסמין הדבר . Are they wrong? The concept is worth a blog post on its own, because it governs everything. It's not just not to undermine the system. It is about derech eretz and honor. If chas v'sholom, your father or your personal Rav was mistaken somewhere, would you discuss it right and left publicly [at least when it does not have any serious practical ramifications which others must be aware of]? That's not a consideration. It's not disrespectful to say someone isn't infallible. Aristotle says elephants live between 200 and 300 years; to say he was wrong doesn't take away his greatness. It does potentially break down the system though, for reasons I need not elaborate here. That's why these people never get to be leaders. As shy individuals they are tolerated, but would they take a public stance, and Rabbi Slifkin's fate awaits them. I think I misread the post and thought it was about rabbis. Even so, I have heard, anecdotally of course, that a number of well-known charedi rabbis do admit privately that chazal were not always correct and that some manifestations of charedi Judaism are too extreme. My arguments stands in regard to them. The distinction I speak of has always been around, in different forms. In YU circles they like to speak of כלפי חוץ v. כלפי פנים with regard to our views on other religions. Internally, I already noted that chazal frequently distinguished between scholars and the unlearned, allowing much to be said to the former, but not the latter. The same is true with philosophical/metaphysical issues, which cannot be taught publicly, but only privately, to one or two students at a time. And its not only the case with Jews. Every political party bandies about slogans or issues that their leaders will admit privately run the gamut from doubtful to nonsense. But they'd never say it publicly, because they would undermine their whole party and system. The only question is, do we think these distinctions are, in fact, wise? Are we better off with everything out in the open? Or are we better off, in fact, distinguishing between things said for public consumption, but very different things admitted privately? Does it make a difference today, when the difference between private and public has in many cases eroded? I'd like to hear RNS's take on it. There is a tape from Rabbi Berel Wein regarding private vs. public halacha, wherein he discusses the fact that what the halacha seems like 'on the books' is not always how psak works for individuals, perhaps more than we realize. He does lament the fact that in today's media culture a psak said to an individual in yerushalayim is bandied about half way around the world minutes later as a statement of public halachic policy, so to speak. Mice seem "huge problem" only for those who use Gemara for nitpicking rather than for Torah learning. Those who study Gemara le-shmo simply pass by agadic stories like this. Do you mean that it's not interesting for them? Isn't it also part of the gemora? passing by, or pretending it doesn't exist? This mamamar is so misinterpreted that I do not know how any person who has any sense of kavod or appreciation for Chazal could think it means that we have an obligation to believe factually incorrect information. Chazal were not morons. This is a well-thought out statement. Why is confusing right from left the example? Why not tamei and tahor or mutar and assur - the natural domain of a rav - because even in pedestrian matters, not specifically halachik, we should trust them? That’s ridiculous. If Chazal says it’s a rock and you say it’s a living organism, and the facts demonstrate it is indeed living, it’s absurd to think you need to “trust” Chazal and say it’s a rock. They were intellectually honest people. They would not insist on continuing to call it a rock when facts indicate otherwise. The beauty of the right / left dynamic is that it is purely subjective. There is no factual right or left - it depends where one is standing. If you are staring a rav face to face, your left is indeed his right, and from his perspective you are dead wrong. The maxim is insisting that in subjective matters, where facts are wholly insufficient to prove out a conclusion, we should let go of our ego and trust that a rav - a real rav, one Chazal would call a rav - has a more developed perspective. A perspective, mind you, that if you stopped squaring off with him and just turned to look from his vantage point, you would you would agree with his position (that’s why we even use this word “position” to describe a view – from your actual position, what are you seeing now). Yes, this still suggests a certain deference, but the developed perspective of Chazal is that of holism and integrity. We throw out our views, vorts, p’shatlech, opinions with abandon, never having to account for contradictions or inconsistencies. We’re flavor of the day. We like that because it’s easy, doesn’t require real effort or thought. But Chazal? Use a different word, let alone a contradictory statement, and you’re berated and raked over the coals of a fiery retort, put to task and demanded to provide an explanation. The perspective of one held to such a standard is indeed worth embracing. That is da’at Torah - integrity (i.e., whole, connected) of thought; not some nonsense that all the answers are there if you look hard enough or that rabbis are infallible. This is a deal with the devil the mitnagdim and chasidim struck in a poor attempt to combat haskalah and we’re now paying the price. It’s much easier to slander Rav Slifkin than to put in the very same painstaking time he has to have an informed opinion. He could be wrong, but at least he worked for it. Most of his detractors are just conduits of self-perpetuating gobbledygook who fear their very existence and power and perpetuate this insulting view towards Chazal. The irony is they think they are defending Chazal when in fact, they just topple them from the very pedestal on which they ought to stand. This will not end well for the various outlook/hashkafa/streams proclaiming sovereignty over Orthodoxy. Their argumentation sounds like a Jackie Mason comic routine. Why? Because they’re all unfalsafiable, Rabbi Slifkin’s logic and scholarly discernment notwithstanding. Rabbi Meiselman et al response need be only: Even though that Tana/Roshon/Achron said what he said, he didn’t mean to say it. Or you don’t understand what he’s really saying. It’s a race to the bottom that’s playing out in Orthodoxy. I couldn't have said it better. Wow. Like you, my issue with many in the far-right camp of Orthodoxy is not their denigration of secular study/thought, but rather their shallow, and often distorted, understanding of chazal. What an incredible interpretation of the "right-left" maxim! Your own? The "right-left" interpretation is told over in the name of Rav Kook. Well, to be fair, all non experimental fields can't be falsified. I imagine the same criticism could be leveled at secular legal theory, anthropology, political science, or many aspects of social sciences (though at least there they try to arm themselves with statistics). They even famously argue about this issue in theoretical physics, a la the recent "Lost in Math" book about string theory. something like this too difficult to digest? how do we deal with it in our days, with our own best evidence. "The test of a first-rate intelligence is the ability to hold two opposed ideas in mind at the same time and still retain the ability to function"
What are you even talking about? Who here is talking about ability or inability to function? "I explicitly once asked this years ago to Rabbi Dovid Feinstein "
Good for you. Is his opinion the be-all and end-all of everything in the Jewish world? "Your obligations to follow the best evidence whether scientific or other of the era "
"Chazal aren't wrong nor were they misunderstanding the reality. Shall we agree that for most of you guys something like this too difficult to digest? " No. It's not difficult to digest. We already know the charedi world cannot publicly acknowledge chazal were wrong. "charedi" means "trembling out of fear" and that's because every decision the general charedi world makes is with the fear that yiddishkeit may come toppling down. God forbid they should engage in the possibility that chazal made a mistake, or else the world will stop keeping the Torah. This is a very immature and stifling approach to Judaism. What's difficult to digest is why you think your comment adds any weight to the discussion here. Please care to elaborate. I believe you are deserving of Cherem for this book but not for this reason (I believe in most of Dr Shroeders approach). In your book you quote 5 Paths to understand all these Gemoras of strange natural phenomenons. The 4th - if I remember correctly - the Rashbam is that Chazal knew that these contemporary beliefs were incorrect but still quoted them in order to Hint and cloak Mystical and deep teachings. This should be for someone like you the best approach - the science is not correct and still was used to make allegorical lessons. That you couldn't accept such a approach and had to push and decide that the Rambams approach is correct shows your lack of respect in Chazal and the Mesorah, which is grounds for putting someone in Cherem. EliG is absolutely correct. That's why Rambam also deserved Cherem, he showed a lack of respect in Chazal and Mesorah, he pushed and decided that his approach was correct instead of Rashbams. Also all the other Rishonim who had that view deserved Cherem. Someone deserves cherem because they chose the approach of the Rambam over that of the Rashbam ? The Rambam deserved cherem because he didn't go like the Rashbam? Absolutely ludicrous. Last I checked the Rambam's works are studied throughout the Jewish world, perhaps more so than any rishon. What are you even talking about? Please quote me where Rambam "showed a lack of respect in chazal and mesorah" more so than other rishonim that no one would dream of putting in cherem? Hashed yerachem. Toyrah True- are you being sarcastic? 1st the Rambam lived before the Rashbam AND in a totally different part of the world 2nd The Rambam had no Mesorah of Mysticism so he couldn't say the explanation of the Rashbam. But mostly how can you say any opinions on the Rambam if you are so ignorant of Torah scholarship!!? EIIG: Toyrah True is doing a reductio ad absurdum on your assertions. Read again.